Well.ca has a Summer Blowout Sale on now with up to 75% off select items. 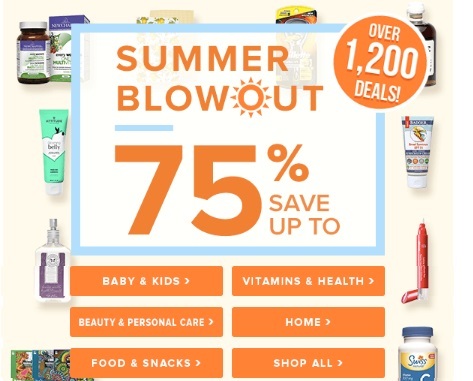 There are over 1200 deals available in category including baby and kids, vitamins and health, beauty and personal care, home, and food and snacks! Also, we have an exclusive $10 off $40 promo code for new customers! Enter the promo code CDDJULY2016 to get $10 off your order when you use the link below. Sale ends Sunday, July 24, 2016.